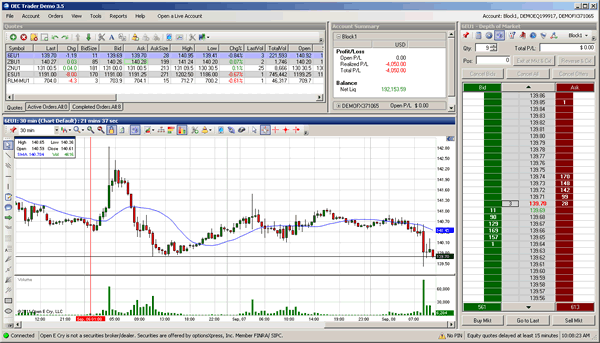 Trade off the Charts with this Dynamic Trading Platform. Connect to the Global Futures Markets. Try out this easy to use electronic trading platform that handles many advance order entry features such as OCO, time entry, MOO and MOC.